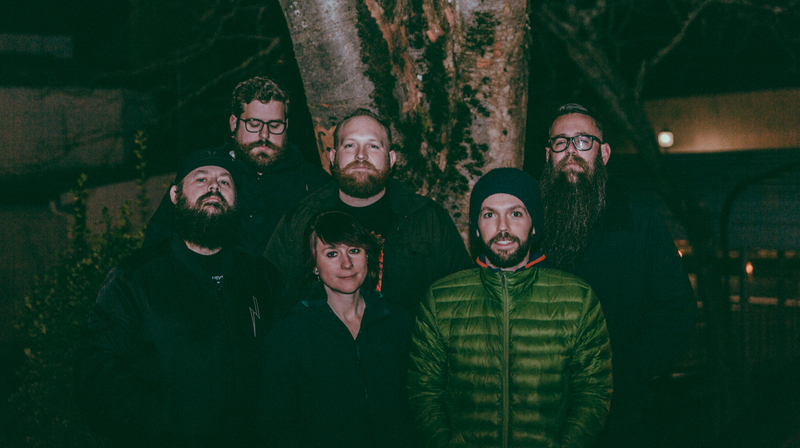 Three words come to mind when post rock six-piece, This Patch of Sky, is brought up—entrancing, powerful, emotive. Their fourth full-length studio album, These Small Spaces, exemplifies this to a T, as listeners were welcomed to a world where cinematic soundscapes reign supreme thanks to enchanting, layered instrumentation. One of the tracks from the album, "Bella Muerte", specifically stood out from the pack, and we're ecstatic to be premiering the visuals for it right here today. Featuring gifted dancers from various ethnicities, genders, and sexual orientations, the music video is a moving tribute that zeroes in on equality and inclusion for all. Simply put—2018 needs this video. "'Bella Muerte' is an emotionally powered, driven song that is probably our favorite song to play live from These Small Spaces," said guitarist Kit Day. "The director, John Mark, and dancers for this video captured the emotions perfectly and we were absolutely thrilled with how the video turned out." If Mark's name sounds familiar, it's probably because you recognize him as the beautiful mind behind the choreography for singer-songwriter Lizzo’s tour last year—a show that strictly featured plus-size models as the background dancers for the first-time ever. Check out the stunning video below, listen to the full album here, then make sure to Track This Patch of Sky on Bandsintown to stay in-the-know about all their touring news!